Updated 12/12/2010 This is right after Young Knives had set the course of Seeds to destruction and Rem checks to see what's going on. This cel is in okay shape however, the top cel layer with the Purple console on it has SOO much paint and scratches on it that I removed it and will be having it professionally cleaned. By the way, some of the purple is on her hands. 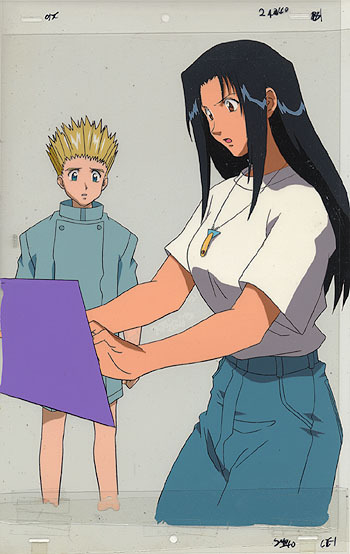 I still LOVE this cel!